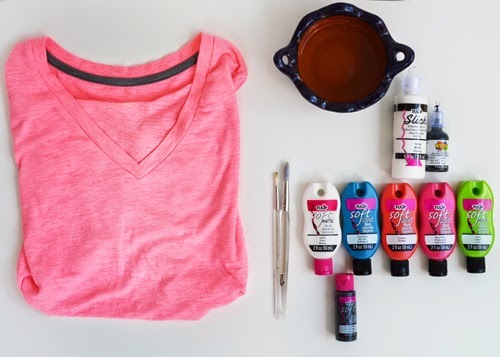 Happy let's decorate a shirt day! 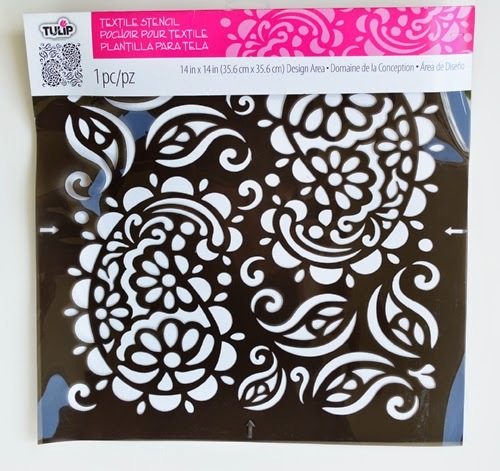 I recently got some of Tulip's new stencils in the mail and I just could not wait to use them. They are all super cute! 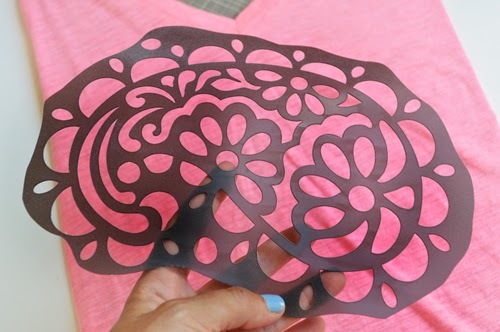 I thought since it's the summer time I would give you a craft that you could do alone or with your kids. 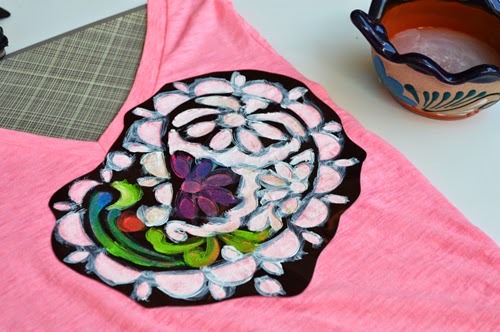 You will be creating a unique shirt that will be one of a kind. 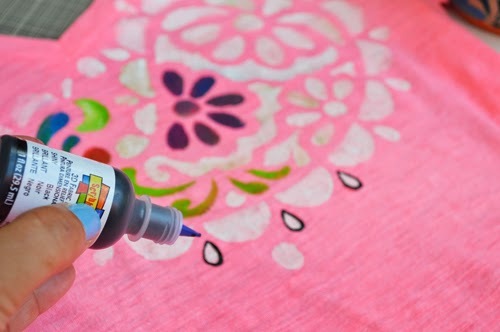 The great thing about this craft is you can use whatever colors that tickle your belly with happiness. 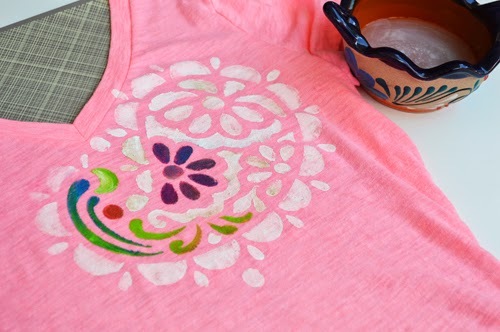 I am using Tulip's new home stencil line . 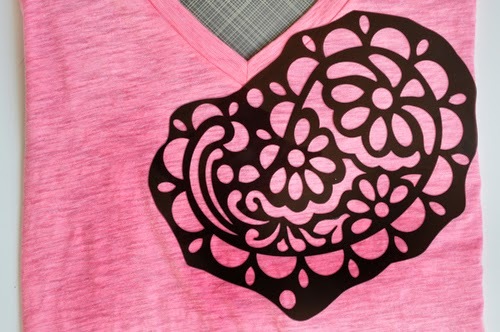 For this project I am cutting out the stencil to use on my shirt. You don't have to do this but it will make your life a lot easier. 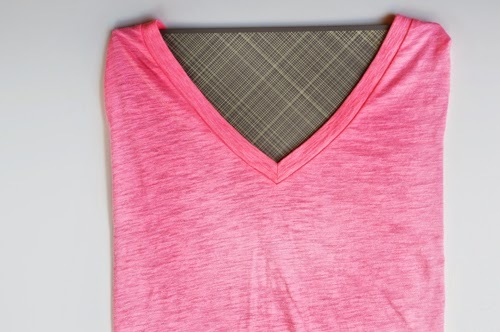 Step One: Slide your shirt over a piece of cardboard or anything flat. 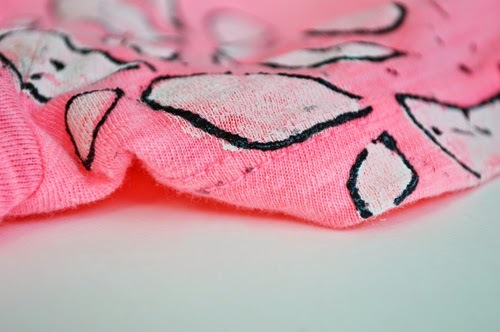 The purpose of this is to prevent the paint from sticking to the back of the shirt. 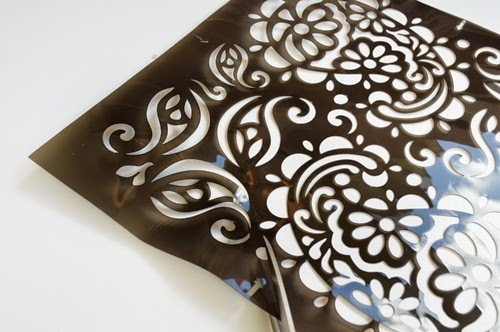 We will be using Tulip stencil spray for this project. 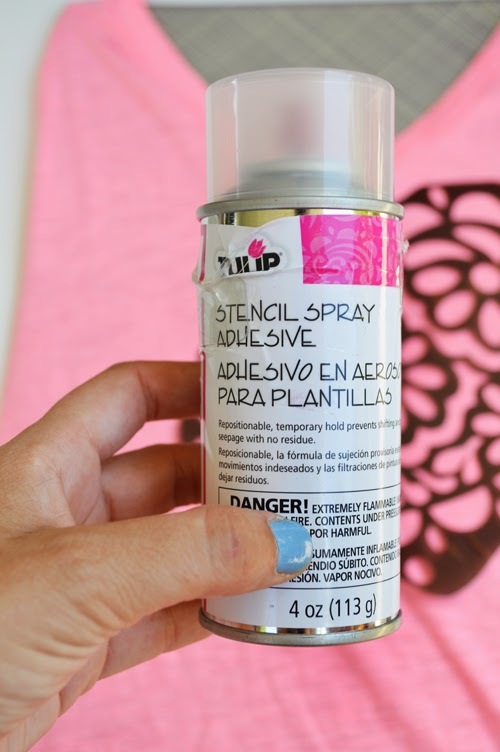 This is a great product to use to adhere a stencil to a surface that moves easily. 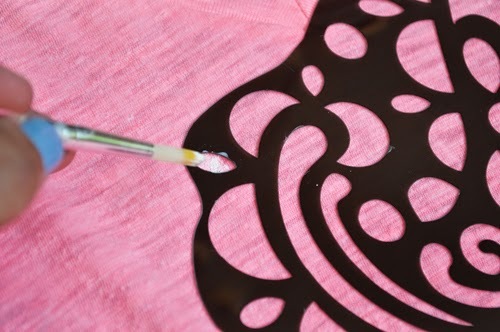 Step Two: Turn your stencil over and spray it with a smooth even coat of stencil spray. 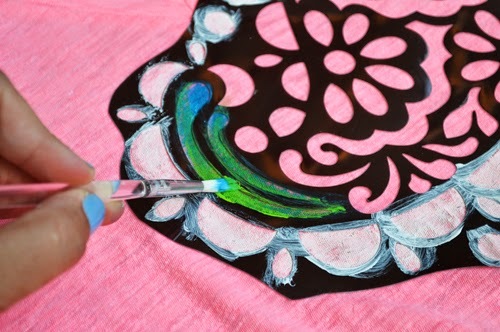 Step Three: Gently place your stencil on your shirt. 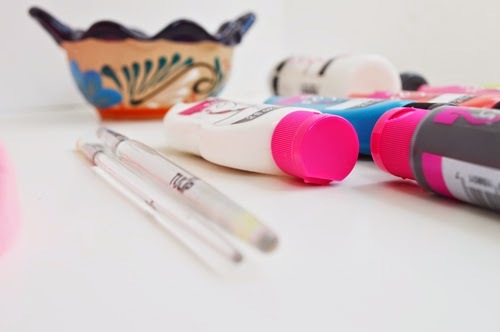 Step Four: Add a little dab of white fabric paint onto your brush. 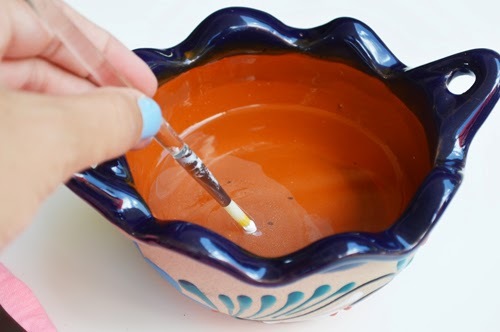 Step Five: Dip it into the water after you dip into paint. 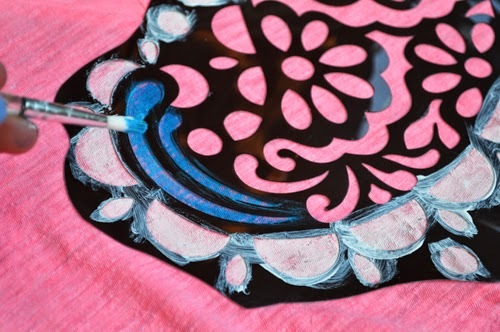 Step Six: Tap your brush onto the side of bowl and start filling in your stencil. 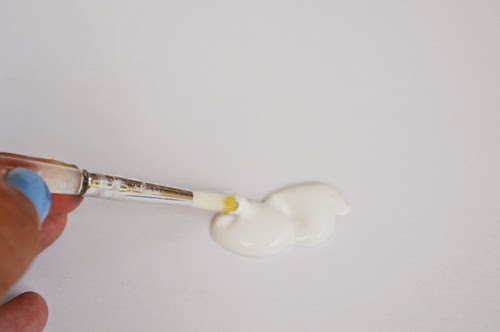 You will notice if the paint is too thin, if it is just dip again into the paint and apply another coat. 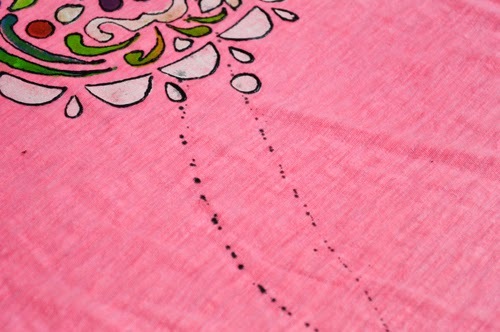 I love this white on the pink shirt! 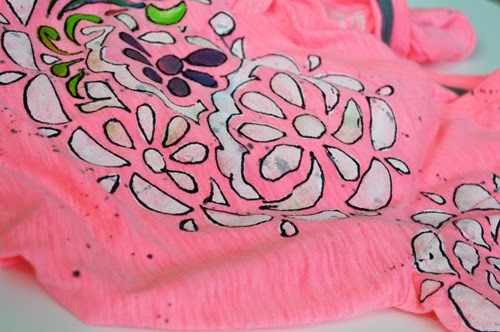 Step Seven: Apply a second color if you want to add a little bling to your shirt. Step Eight: Spice up one color by adding another one to it. Step Nine: Now is a good time to look at the image as a whole and correct any colors you have. I wanted most of my image to be white but wanted a little splash of color in it. 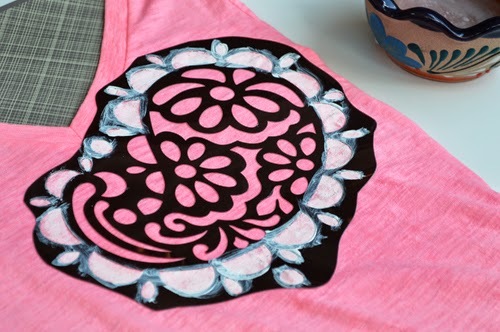 Step Ten: Take your stencil off of the shirt. 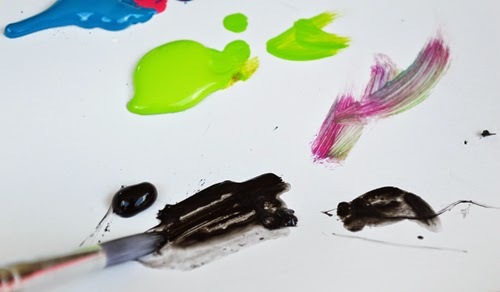 Step Eleven: Trace everything with your black scribbles paint. 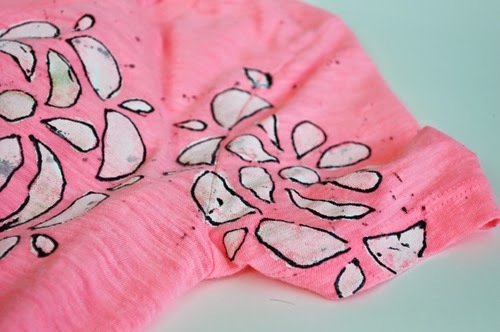 Step Twelve: Squeeze some black fabric paint out and add water to it. 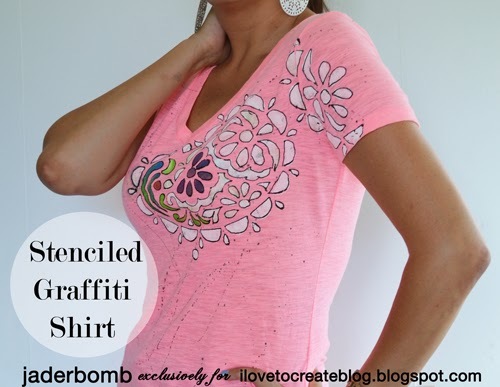 Make sure to extend your stencil out onto the sleeves or the edge of your shirt. 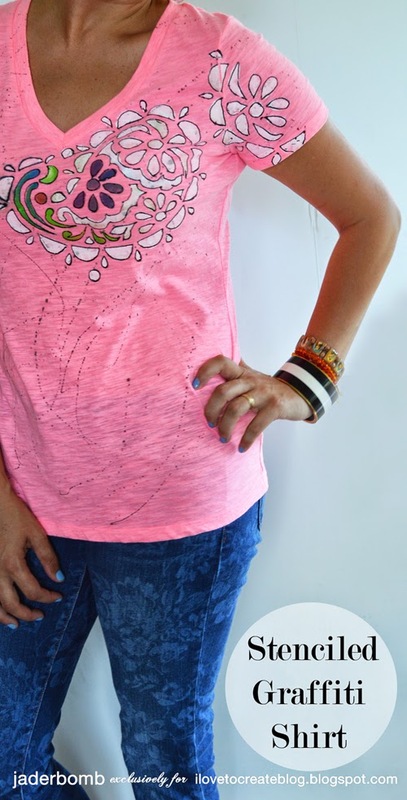 Time to sport your new shirt. I am in love with the way it turned out.